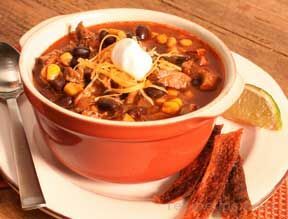 Braising is a cooking process in which tougher cuts of meat are cooked in liquid in order to add flavor and to moisten and tenderize the meat. 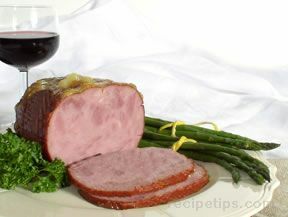 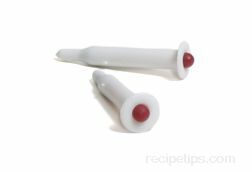 It is a useful cooking method for breaking down the tough fibers in the meat. 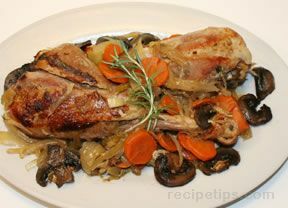 Braising is a similar to stewing except that less liquid is used. 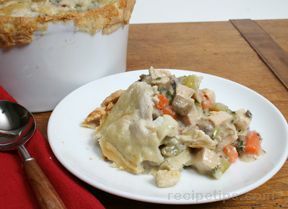 When food is stewed, it is submerged in liquid, and when braised, the food is only surrounded by the cooking liquid. 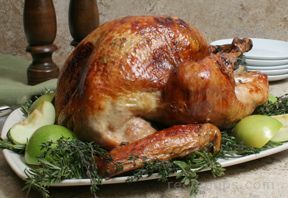 Braising is not often used for cooking turkey, but it can provide excellent results when cooking large turkey pieces such as the breast meat. 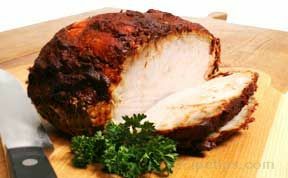 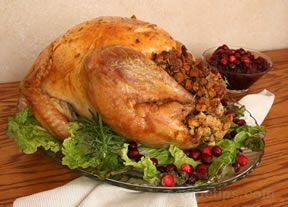 When turkey is braised, it is placed in a pot in which liquid is added to a level of about halfway up the sides of the meat. 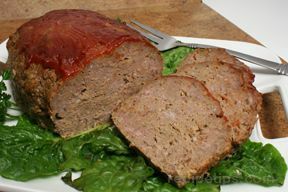 If the liquid completely covers the meat, it is considered stewing rather than braising. 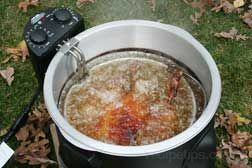 The pot is covered and the turkey is allowed to cook until it is fork tender. 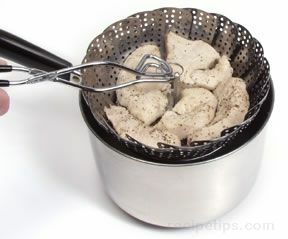 The moisture in the covered pot is a much more effective means for breaking down the meat fibers than any dry heat cooking method. 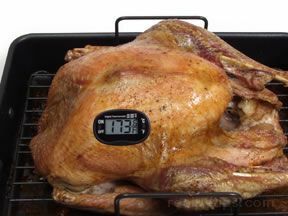 The moisture prevents the outer portions of the turkey from drying out. 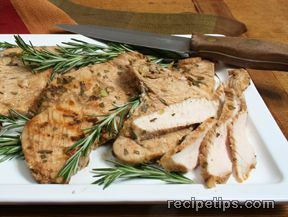 The turkey can be braised on the stovetop, in a large electric countertop pan, or in the oven. 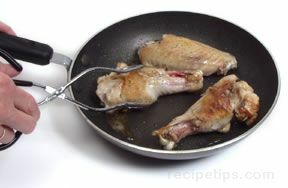 When braised in the oven, the initial steps are often done on the stovetop before completing the cooking in the oven. 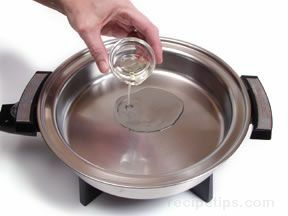 Pour a small amount of oil into a heated pan or pot. 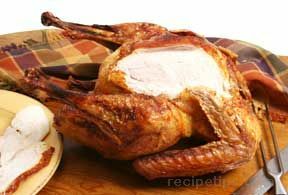 The pan should be only slightly larger than the turkey pieces so that only a small quantity of liquid will be required for braising. 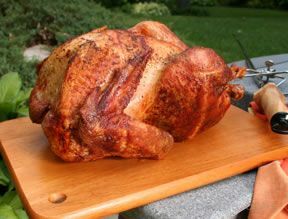 Sear the turkey pieces on all sides. 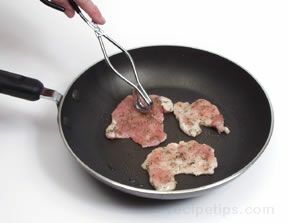 After the meat has browned, remove it from the pan and set it aside. 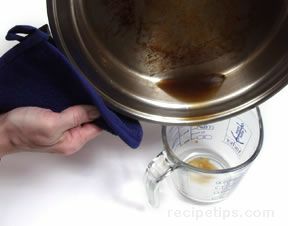 Pour off most of the fat from the pan. 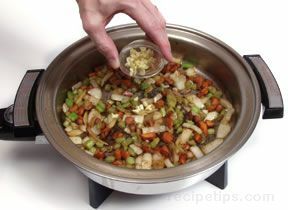 Add aromatic vegetables to the pan, such as onions, carrots, celery, and garlic. 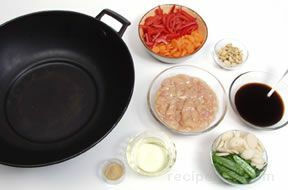 The vegetables should be sautéed for one or two minutes. 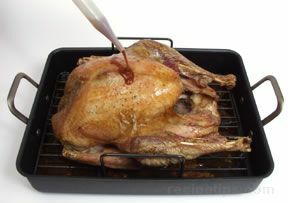 Return the turkey pieces to the pan and add liquid to a level that is halfway up the sides of the meat. 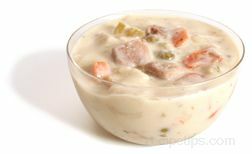 If the liquid completely covers the meat, the cooking method is considered stewing rather than braising. 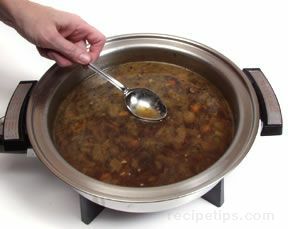 The liquids that are most often used for braising include water, meat or vegetable stock, juice, beer, wine, or a combination of various flavorful ingredients. 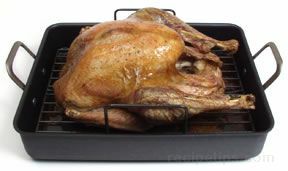 Any remaining seasonings should be added to the pan. 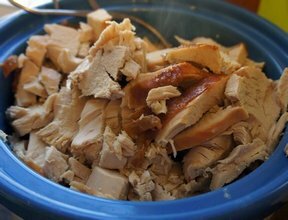 The turkey can be braised on the stovetop or in the oven. 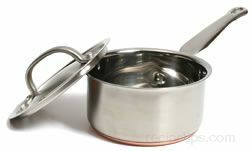 If it is cooked on the stove, the liquid should be brought to a boil and then the heat should be reduced to a simmer before the pan is covered. 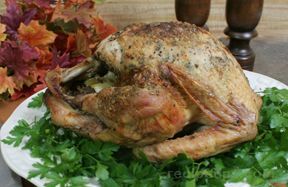 If the meat is to be braised in the oven, the initial steps should be done on the stovetop (searing the turkey, sweating the vegetables, etc.) 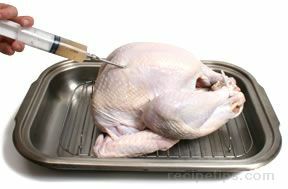 and the final cooking should be done in the oven. 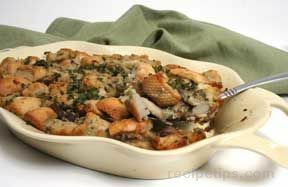 When using both the stovetop and the oven for braising the turkey, the pan that is used must be a type that can be used for both. 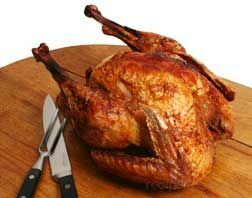 When cooking is finished in the oven, the temperature should be set at 325°F to 350°F. 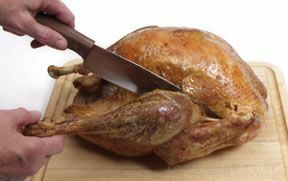 Whether the turkey is braised entirely on the stovetop or finished in the oven, the pan should be covered and the meat should be cooked until it is fork tender. 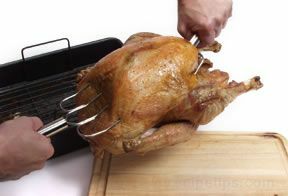 When the turkey is fully cooked, remove it from the pan using a tongs. 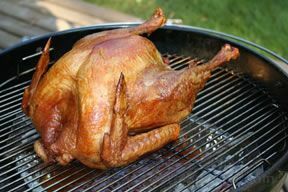 Cover the turkey to keep it warm while the sauce is being prepared. 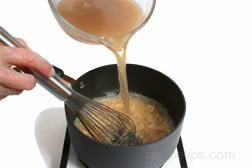 The liquid in the pan can be strained, returned to the pan, and then reduced into a sauce, or the sauce may be prepared without straining the liquid, but as much fat as possible should be skimmed from the surface. 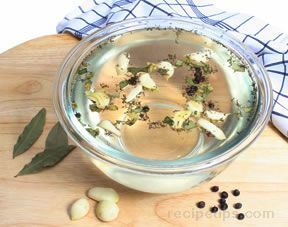 Bring the liquid to a boil, which reduces and thickens it. 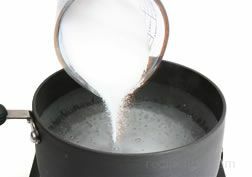 Cornstarch or flour may be added if the liquid does not thicken to the desired consistency. 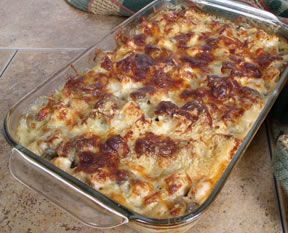 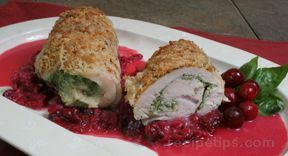 Further seasoning may be added to complete the sauce, which is used as a delicious accompaniment for the braised turkey.